1. Where is Circular Quay? Circular (actually semi-circular) Quay is part of the City of Sydney and is on the North side of the CBD. 2. What is the history of Circular Quay? Circular Quay was originally used for shipping, but developed in to a residential, tourism, and transport hub, with the railway station opening in 1956. Circular Quay is a mix of professionals and luxury apartment owners. According to the ABS, the population tends to be people in their 30s and 40s, who are not married. 4. Are there sporting facilities? There is some parkland, and access to gyms and a recreation centre. However, most of the space is devoted to business, so amenities are limited. 5. What are the restaurants like? Restaurants line the quay on the way to the Opera House, and The Rocks is nearby. Many cafes are expensive due to the tourist trade. 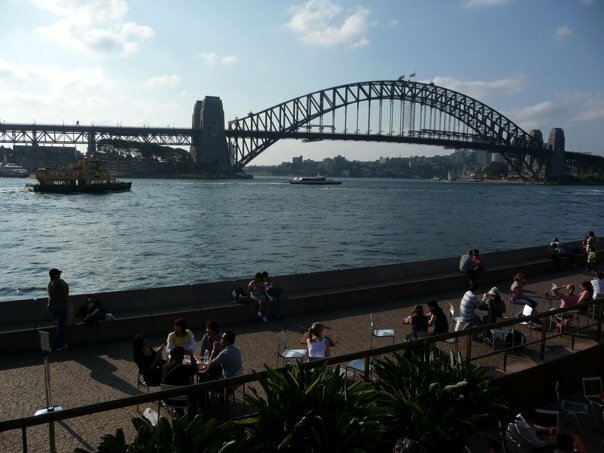 Restaurants that are a bit more expensive, but good quality are Doyle at The Quay on the Overseas Passenger Terminal, and Waterfront Restaurant at 27 Circular Quay West, The Rocks. 6. Are there any good pubs? 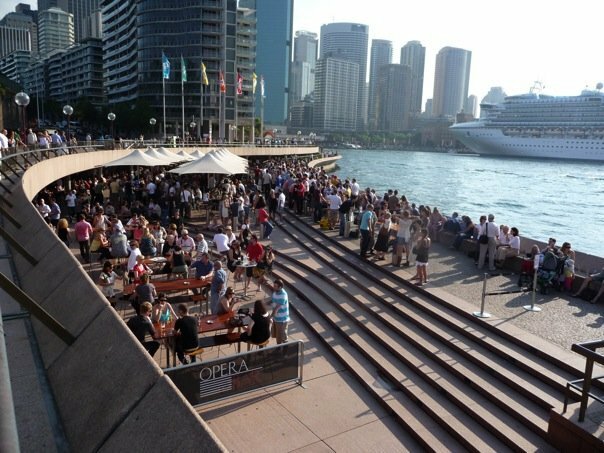 There are numerous pubs in The Rocks, and Opera Bar on the side of the quay. 7. What are the houses like? There are few free-standing or semi-detached houses, and most people live in apartments. ABS statistics suggest that almost two-thirds of residents rent, and almost 1 in 7 earn over $150,000 per annum. Most are employed full-time. Trains, Buses, and ferries all meet at Circular Quay, as a major transport hub. 10. Any other important information about Circular Quay? Circular Quay is the ideal place to explore the Sydney Opera House and Sydney Harbour Bridge, and other attractions include the Muesum of Contemporary Art Australia and Customs House, which has a model of the city centre. Why? Activities on beautiful Circular Quay.